“French Paper supplied four cover stocks for these books: Pop-Tone 100#C “Lemon Drop” and “Sno Cone,” Speckletone 100#C “True White,” and Dur-O-Tone 80#C “Packing Brown Wrap.” We hand-set several designs using Hamilton’s collection of vintage type and ornaments. Hamilton then printed our designs in two random colors on a 1961 Heidelberg GT 13″×18″ windmill press. Randomizing the designs, papers, and colors resulted in thousands of variations. Further variations were introduced thanks to the nature of wood type, letterpress printing, and the music playing in the print shop during the 200+ hours on press. This is less of a formal review and more of a “GO GET THESE BEFORE THEY’RE GONE!”. 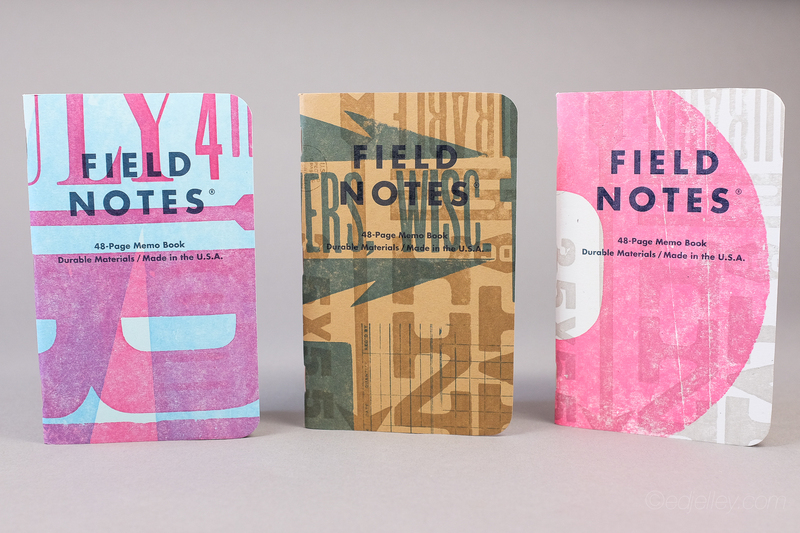 Field Notes are some of my favorite notebooks in terms of design, especially the COLORS editions. This one is no exception. I’m a sucker for all things screen printed, and these being a mix of wood block and letterpress immediately grabbed my attention. The books are all unique, in that they are all a random assembly of designs and text. Even cooler is that each one is hand-set, making the creation of the covers less of a set-and-forget and more of a hands-on process. I can definitely appreciate that. 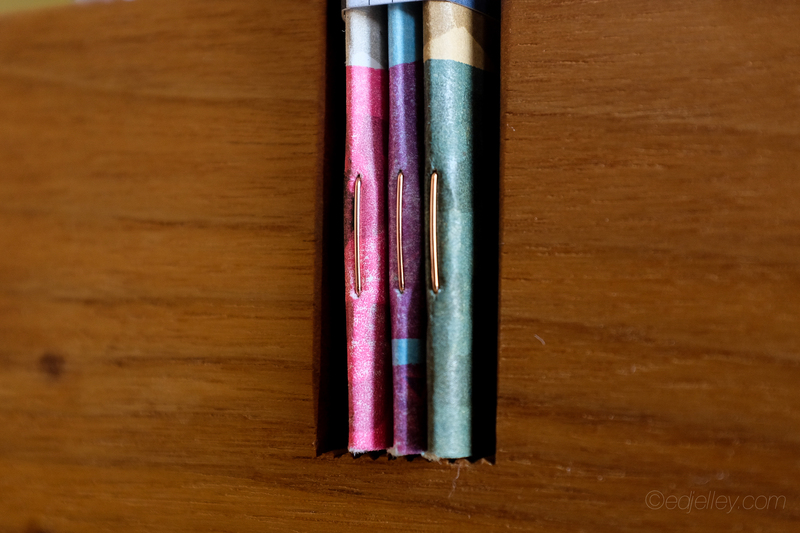 The subtle details like the dark blue inked “FIELD NOTES” logo on the front and the copper staples really stand out. I ordered three 3-packs and each book is different from the next. As far as performance, the Finch Opaque Smooth 50#T paper works well enough. I decided to use a book for doodling with my Lamy broad nib, and there’s a fair amount of bleed and feathering. The paper works great with ballpoint, gel, finer rollerballs and finer fountain pen nibs. The graph inside is pretty standard, the 4.5mm spacing nicely compliments the size of the book. I’ve been using one to keep track of what episodes of the X-Files I’ve watched, rating them as I go. The graph definitely proves helpful for making a checklist. The cool factor on this limited edition is through the roof, go pick some up before they’re gone forever! 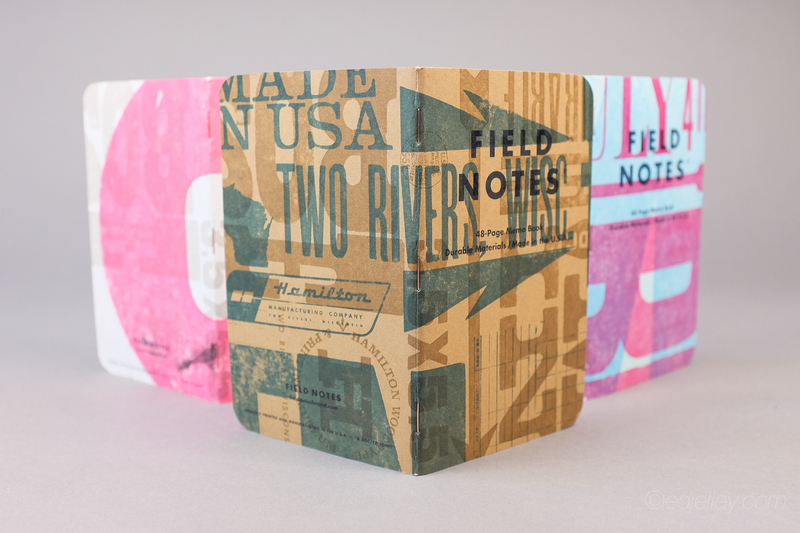 Check out more info, an awesome video, and pick up a 3-pack from FIELD NOTES here! 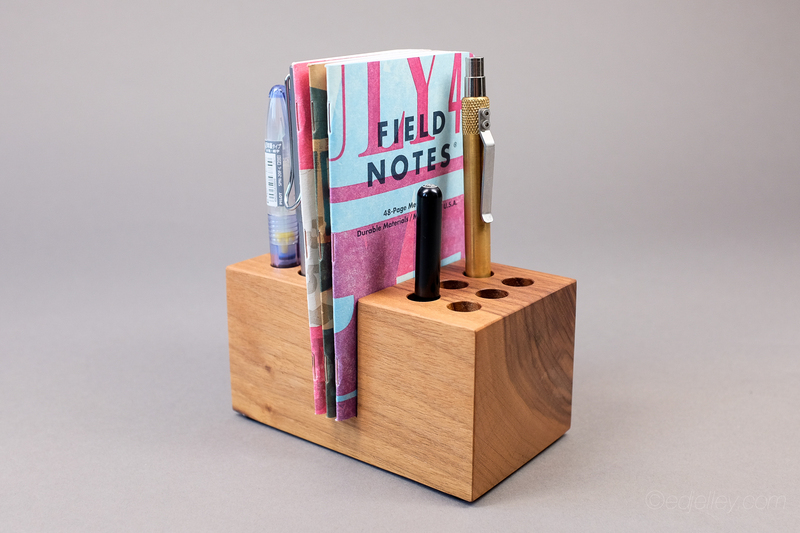 I really need to know… where did you get that wood block holder from?! Where in the world did you get that wooden block holder!!! I must get one! Love these books! The letterpress is just so cool. I normally just get my subscription, but went back for 2 more packs. Just so fun! Love that they are helping the company by donations and encouraging others to donate too.